It’s almost been a decade since TV On The Radio released their third album Dear Science and to celebrate, they’ve announced a special concert to commemorate the anniversary. The band will play the album in its entirety on Sept. 20 at The Knockdown Center in New York City. 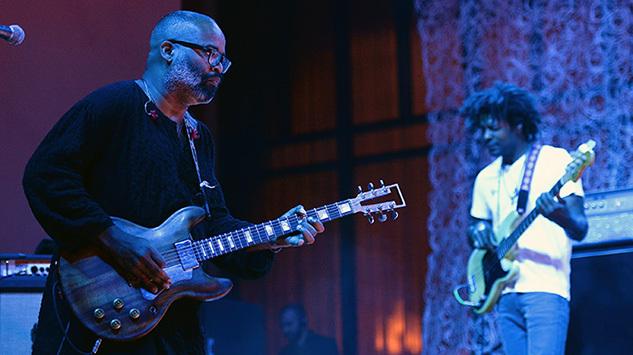 “For various reasons, this record means a LOT to us and we’re thrilled have a chance to play it in its entirety, in New York, nonetheless,” Tunde Adebimpe said in a statement. “I’d say it’s gonna be a special night.” Tickets are available here. Dear Science was the follow-up to TV On The Radio’s major record label debut Return to Cookie Mountain. The band’s last full-length project was 2014’s Seeds.